The 6,000-meter-rated remotely operated vehicle (ROV) system will be tested from 'Okeanos Explorer' in the 2013 field season. Dave Lovalvo, project manager for the NOAA Office of Ocean Exploration and Research’s Deep Submergence Group and his team has built and will be testing the ROV during the 2013 field season. 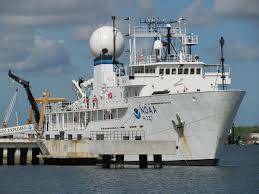 The vehicle will be operated from the NOAA Ship Okeanos Explorer, America's only U.S. government ship that is dedicated to the sole purpose of exploring the world’s oceans. The vehicle weighs in at 9,200 pounds, has an overall length of 10.5 feet, and stands an impressive 8.5 feet tall. It carries a minimum of six underwater video cameras, two of which are high-definition; a large array of the newest LED lighting technology; and an available sensor payload of over 400 pounds. Two seven-function hydraulic manipulators, a hydraulically actuated sensor platform, full color sector scan sonar, and a fully integrated inertial navigation system are all standard capabilities of the new system. 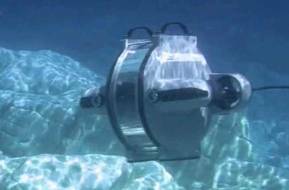 Live video feeds of the ROV trials are available here.